Gotta get somewhere fast? Can't find the keys of your trusty DeLorean (Or maybe the Ford Focus that you pretend is a DeLorean)? 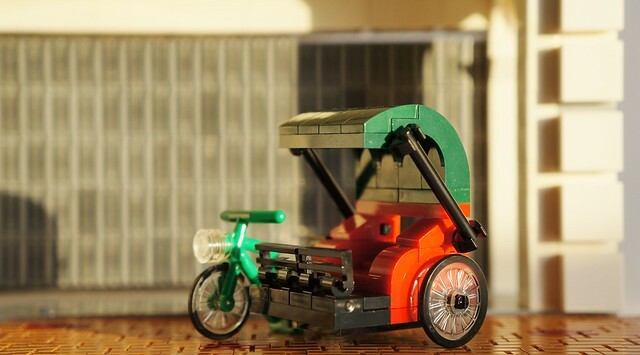 Try this trishaw by gan.marco. The fastest hunk of junk in the East and the (mostly) reliable method of travel preferred by tourists and locals alike. Sure to get you wherever you need to be in the most convenient fashion whether you like it or not, so sometimes it's better just not to look!